Includes blaster, 6 darts, charm bracelet with 2 charms, and instructions. 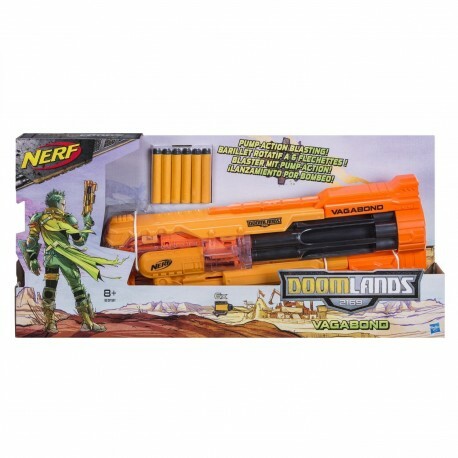 Bring justice to a doomed world with the Vagabond blaster! 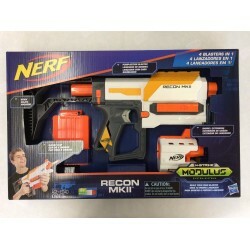 This powerful blaster fires 6 darts without reloading from the rotating barrel with pump-action blasting. Load up your darts and rack the action as you let each one fly! You’ll be the fiercest protector on the battlefield with the Vagabond blaster!